Foster City and San Mateo have partnered with a mobile carpool app, Scoop Technologies to launch a six-month pilot program. The program is designed to encourage carpooling and decrease the amount of cars on the road and lessen traffic burdens of commuters. Commuters with a home or work address in either city can benefit from the program. Participants can either be drivers or riders, where drivers are reimbursed 50 to 100% of commute costs while riders can enjoy $2 commute rides. Over the six-month period, Foster City is allocating up to $60,000, accounting for up to 7,500 trips. Meanwhile, San Mateo is allocating $30,000 towards the program. 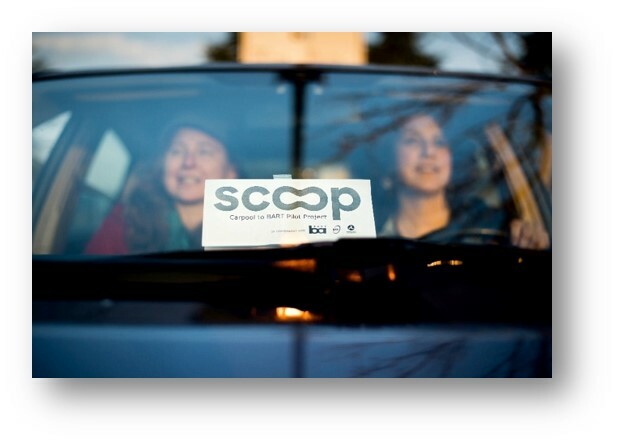 Since launching in October 2016, over 2,000 peopl have signed up to use Scoop for their commute in and out of Foster City, saving over 225,000 pounds of CO2 and reducing almost 10,000 vehicle trips as of March 2017. On March 6, 2017. the City Council of Foster City approved to extend the partneship between the City and Scoop Technologies. For more information see the link to Foster City’s page on the program.